Georgia Script is a carefuly crafted feminine script font created and published by Agung Syaifudin. 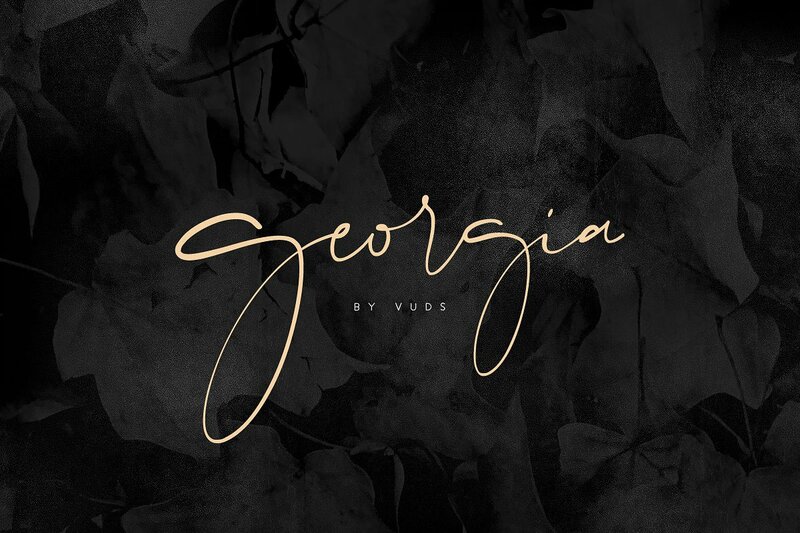 Featuring many open type features, like alternates, ligatures and swashes, Georgia Script si a very beautiful looking font for many contexts like photography, watermark, wedding, branding and logo, fashion, apparel, letters, invitations and more. Georgia Script has also multilingual support that will prove to be very useful for those diacritics situations. Georgia, oh Georgia, you are always on my mind! A font description published on Friday, May 25th, 2018 in Agung Syaifudin, Fonts by Andrei that has 2,124 views.